Well, you've come to the wrong place. Here we build Christmas Cambot! Cambot is fairly easy to build, if you know how to build him. Problem is, no one really knows how to build him. When Pokemon first came out, I noticed a striking resemblance to Pokeballs and the general shape of Cambot. Convinced I could build a scaled down version of Cambot with one of those recalled Burger King toys, I set out to make Cambot. My Cambot, being significantly smaller than the regular Cambot, makes an excellent Christmas tree ornament. Remove the useless toy from inside. Get a roll of scotch tape. 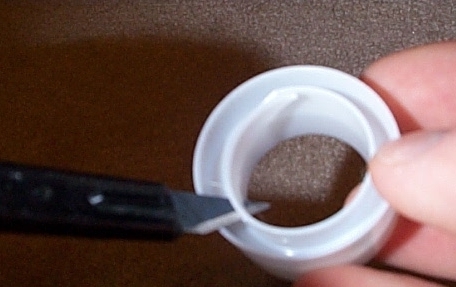 Cut out most of the inner ring of the scotch tape roll. 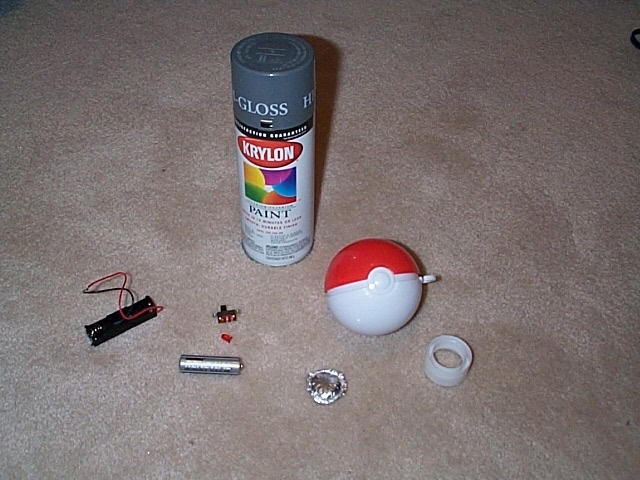 Spraypaint the pokeball and scotch tape roll semigloss gray. On (what remains of) the inside lining of the scotch tape roll, stretch a small piece of aluminum foil to cover it. This is Cambot's reflective lens. Glue it into place. Center the scotch tape roll over the pokeball circle thing, and hotglue it on. Attach a christmas tree hook to it. Before reattaching the 2 halves, drill a tiny hole into the inner lip of the pokeball half. Get a string of tiny multicolored christmas lights. Detach a single red light and some of the surrounding wiring. Solder one wire to the battery pack and switch. Solder another wire from the battery pack to the christmas tree light. Solder another wire from the other lead on the light back to the other pole on the switch. Test connections. If the light does not come on, go back and test each connection independently. Make sure the light itself works. Drill a small hole on the lip of the bottom half. This will house the switch. Mount the switch inside of the hole. The switches I used came with tiny screws to do this. Drill another small hole near the front of Cambot, this will house the tiny christmas tree light. If all is well, go back to the original instructions and pick up at step 8. 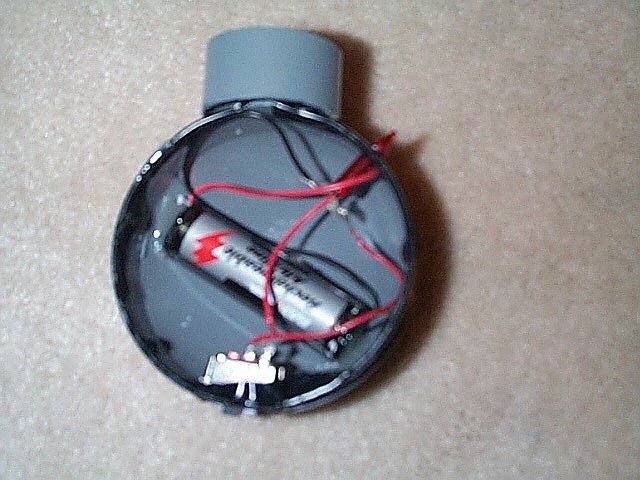 Click here to see a completed Christmas Cambot. The picture was taken with my webcam, so it's not crystal clear. The foil lens is not dented, light reflection is merely making it look that way. Mystery Science Theater 3000 is �89 - 2001 Best Brains Inc. All Rights Reserved. Website design �00 - 2001 Jeff Zehnder Jr. and Classic Arrow Inc. In other words, feel free to use the instructions to build your own, but don't claim that it's your own creation. Questions? Comments? Bug us, we love attention.